Kesha wandered around school, head down, hoody up. Invisible. That was her goal. Invisibility was the safest way to get around school these days! So far nobody seemed to acknowledge her existence at all, which was just fine with Kesha. Suddenly, Kesha found herself with a face-full of flaw. She cursed under her breath and looked up, scowling. "Hey, Kesha." A sickly-sweet voice said. "Are you always this clumsy, or are you just making a special effort today?" "Well I&apos;m not making any effort for you, Keslie!" Kesha snapped, spitting out the girls name. "Now run along, back to your little hole!" "Kesandra Cooper, do not address other students in that manner!" A teacher, Mr Wilson, yelled from his classroom. "Now get up, at once! You are going to make a scene and disrupt peoples learning!" Keslie chuckled at Kesha, watching her face slowly turn pink. Anger flashed across Kesha&apos;s face as she struggled to her feet. "I guess I&apos;ll get leave then. I wouldn&apos;t want to make a scene and disrupt peoples learning now, would I?" She growled. Then, much to Keslie and Mr Wilson&apos;s amazement, Kesha began storming towards the schools exit. "IF YOU SET ONE FOOT OUT OF THIS BUILDING-" Mr Wilson began, but he was too late. Kesha was out, dragging her bag along with her. "It&apos;s just too easy!" Kesha chuckled to herself. It wasn&apos;t the first time that she had skipped school. So far her parents hadn&apos;t found out! It wasn&apos;t that the school didn&apos;t inform them, they just didn&apos;t care enough to answer calls while they were working. "Freedom! Freedom!" Kesha chanted, while cursing Keslie. Keslie had disliked Kesha for as long as Kesha could remember. It wasn&apos;t really even anything personal, they were just very different people. Although Keslie was a bully, Kesha didn&apos;t feel the need to report her. She made school life interesting. Kesha knew she often gave it as good as she got anyway! 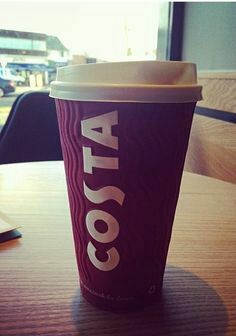 She walked lazily into Costa Coffee and ordered a hot chocolate, before sitting down at her usual table beside the window while she waited. "Hot chocolate for the young girl, who&apos;s clearly buncking school. Again!" A familiar voice said, placing the drink down. "Monica!" She cried happily, looking up at the beautiful blonde girl infront of her. "It&apos;s been a while!" "Too long, darling! It&apos;s been too long," Monica agreed. Her accent was posh, like most of the people around that area, and was very thick. Kesha looked at her hair, which was shinning brightly as usual. It reached just past her shoulder blades and had a lot of body. She could quite easily be a model if she wanted to be, she even had the bone structure for it. "So what&apos;s new? How&apos;s Ryan?" Monica asked, winking cheekily. "Fine," Kesha answered. She kept her face straight, giving nothing away. Monica simply rolled her eyes and smiled, letting the subject drop. "So darling, why aren&apos;t you in school today?" She asked, smirking as she spoke. "Oh, you know how it is. Things to do, people to avoid." Kesha replied smoothly. You could easily tell that this was a usual conversation for the two girls. "If it were you saying that, it would be people to do and exes to avoid," Kesha pointed out with a chuckle. Monica knew this was true and laughed, but suddenly appeared distracted by something behind Kesha. "Kesh, didn&apos;t Samantha mention that your cousin was in town?" She asked, not looking away from the entrance. Kesha quickly nodded, getting anxious all of a sudden. "Demi Lovato, right?" Monica checked, making Kesha nod hesitantly again. "Well she just came in, and she&apos;s heading this way! She does not look happy with you, good luck darling! Text me later, babes." Monica said over her shoulder as she strutted away, in her usual easy manner. "Coward!" Kesha called after her, cursing under her breath in frustration. "Kesha, what are you doing here!" Demi said, taking the seat opposite Kesha and glaring furiously at her. "Well I&apos;m not tackling a herd of elephants, am I Demi?" Kesha snapped back. "I am clearly drinking a hot chocolate! The more appropriate question is what are you doing here?" She asked, her face now a mixture of anger and fear. "Starbucks was closed," Demi grumbled sulkily. "And don&apos;t you dare get smart with me missy! I&apos;m not the one missing school!" "Liar! You were never at school, you weren&apos;t tough enough to take the bullies." Kesha retorted, causing Demi to wince and tears to prick her eyes. "That was different," she whispered harshly. "Why, because it was poor little Demetria who was hurting? Are you above us all? Too amazing to be bullied?" Kesha sneered, her voice dripping with sarcasm. "Get off your high horse Demi, and go through it just like the rest of us. Bullying is a challenge, and much more fulfilling to get over than school!" She snapped, now grabbing her drink and getting up. "You have obviously never really been bullied, have you?" Demi cried, her tears brimming over now. "It&apos;s hell, absolute hell!" "You, my dear cousin, have no idea what you&apos;re talking about. You&apos;re delusional if you think I&apos;ve never been bullied. Why I was bullied this very morning," Kesha said. Her voice had become sickly-sweet, a sure sign of danger. "By who? Take me down to your school right now! I&apos;ll sort them out," Demi cried and also got to her feet. "Ah, so now you care. I&apos;m sorry Demi, I&apos;m afraid I can&apos;t take you to my school. It would be pointless since, and I quote, I&apos;ve obviously never really been bullied. Have I?" Kesha said, her voice becoming cruel. "Good day, Demetria." She said as she turned her back on Demi. "I hope I won&apos;t be seeing you again." Demi watched her go, and cursed quietly to herself.